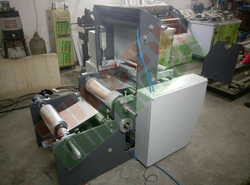 We are a leading Manufacturer of center drum type slitting rewinding machine, mini bopp tape slitter machine 9925838443, bopp tape slitting and rewinding machine 9925838443, slitter rewinder machine, paper rewinder machine and fabric rewinding machine from Ahmedabad, India. Shreeji Controls have marked a distinct position in the market by offering superior quality Center Drum Type Slitting Rewinding Machine that is procured from trustworthy vendors of the market. Shreeji Controls Slitter Rewinder is a Cantilever Type which incorporates a range of superior design feature that ensures the highest possible quality for the final split roll Independent rewind tension control through non-contact ultra-sonic techniques for diameter measurement and unique core lock for the differential slip at running speed. The design incorporates the three motor control system & unwind pneumatic brake with load cell feed brake Digital Edge/line guiding to achieve high-speed correction. High Performance and hi-speed and heavy duty Slitter Rewinder Machine manufacturer with the custom application related requirement. 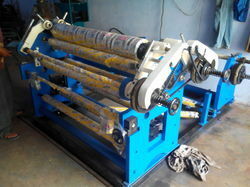 We design to custom application related all type of heavy-duty slitting rewinding machines. 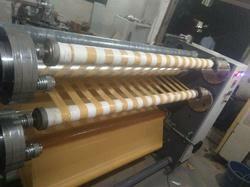 We are leading Mfg of Converting Machinery Like Slitter Rewinding Machine. Its Operating System is Easy. 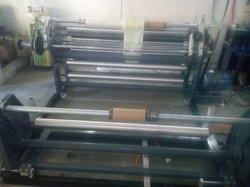 You can Use Slitting & Rewinding.Reduce Labor Cost. Effective Result . 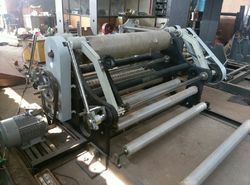 Center Drum type Slitting Rewinding Machine is a shearing operation that cuts a large roll of material into Small rolls. In Rewind slitting Machine, the web is unwound and run through the machine, passing through knives or Cutter, before being rewind on one or more shafts to form the Small roll. Shreeji Controls have marked a distinct position in the market by offering superior quality BOPP Tape Slitting and rewinding Machine that is procured from trustworthy vendors of the market. The offered machine is meticulously tested on various quality parameters and is widely demanded in various industries. Provided machine is manufactured by utilizing optimum quality raw material and the latest technology at our manufacturing unit. In line with international standard we provide the entire range in various customized options and at affordable prices. Shreeji Controls have marked a distinct position in the market by offering superior quality Slitter Rewinder machine that is procured from trustworthy vendors of the market. The offered machine is meticulously tested on various quality parameters and is widely demanded in various industries. The provided machine is manufactured by utilizing optimum quality raw material and the latest technology at our manufacturing unit. In line with the international standard, we provide the entire range of various customized options and at affordable prices. Shreeji Controls have marked a distinct position in the market by offering superior quality Paper Rewinder Machine that is procured from trustworthy vendors of the market. The offered machine is meticulously tested on various quality parameters and is widely demanded in various industries. The provided machine is manufactured by utilizing optimum quality raw material and the latest technology at our manufacturing unit. In line with the international standard, we provide the entire range of various customized options and at affordable prices. 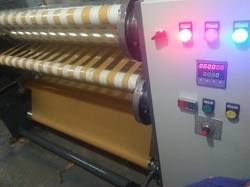 Shreeji Controls have marked a distinct position in the market by offering superior quality Fabric Rewinding Machine that is procured from trustworthy vendors of the market. The offered machine is meticulously tested on various quality parameters and is widely demanded in various industries. Provided machine is manufactured by utilizing optimum quality raw material and the latest technology at our manufacturing unit. In line with international standard we provide the entire range in various customized options and at affordable prices. Shreeji Controls have marked a distinct position in the market by offering superior quality Slitter Rewinder Machine that is procured from trustworthy vendors of the market. The offered machine is meticulously tested on various quality parameters and is widely demanded in various industries. Provided machine is manufactured by utilizing optimum quality raw material and the latest technology at our manufacturing unit. In line with international standard we provide the entire range in various customized options and at affordable prices. Shreeji Controls have marked a distinct position in the market by offering superior quality Inspection Rewinding Machine that is procured from trustworthy vendors of the market. The offered machine is meticulously tested on various quality parameters and is widely demanded in various industries. Provided machine is manufactured by utilizing optimum quality raw material and the latest technology at our manufacturing unit. In line with international standard we provide the entire range in various customized options and at affordable prices. 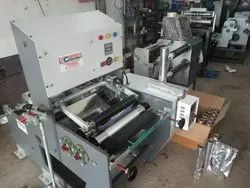 Shreeji Controls have marked a distinct position in the market by offering superior quality Foil Slitting Machine that is procured from trustworthy vendors of the market. The offered machine is meticulously tested on various quality parameters and is widely demanded in various industries. Provided machine is manufactured by utilizing optimum quality raw material and the latest technology at our manufacturing unit. In line with international standard we provide the entire range in various customized options and at affordable prices. Shreeji Controls have marked a distinct position in the market by offering superior quality Aluminum Foil Rewinding Machine that is procured from trustworthy vendors of the market. The offered machine is meticulously tested on various quality parameters and is widely demanded in various industries. Provided machine is manufactured by utilizing optimum quality raw material and the latest technology at our manufacturing unit. In line with international standard we provide the entire range in various customized options and at affordable prices. Shreeji Controls have marked a distinct position in the market by offering superior quality Paper Slitter Rewinder Machine that is procured from trustworthy vendors of the market. 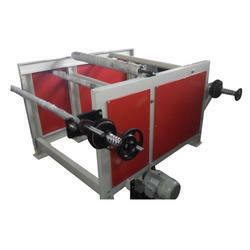 The offered machine is meticulously tested on various quality parameters and is widely demanded in various industries. Provided machine is manufactured by utilizing optimum quality raw material and the latest technology at our manufacturing unit. In line with international standard we provide the entire range in various customized options and at affordable prices. Shreeji Controls have marked a distinct position in the market by offering superior quality Slitting Machines that is procured from trustworthy vendors of the market. The offered machine is meticulously tested on various quality parameters and is widely demanded in various industries. Provided machine is manufactured by utilizing optimum quality raw material and the latest technology at our manufacturing unit. In line with international standard we provide the entire range in various customized options and at affordable prices. Shreeji Controls have marked a distinct position in the market by offering superior quality Slitter Rewinder Line that is procured from trustworthy vendors of the market. The offered machine is meticulously tested on various quality parameters and is widely demanded in various industries. Provided machine is manufactured by utilizing optimum quality raw material and the latest technology at our manufacturing unit. In line with international standard we provide the entire range in various customized options and at affordable prices. Shreeji Controls have marked a distinct position in the market by offering superior quality Tape Slitter Machine that is procured from trustworthy vendors of the market. The offered machine is meticulously tested on various quality parameters and is widely demanded in various industries. Provided machine is manufactured by utilizing optimum quality raw material and the latest technology at our manufacturing unit. In line with international standard we provide the entire range in various customized options and at affordable prices. 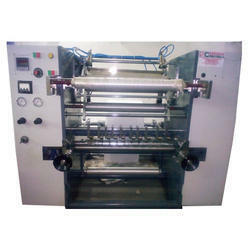 Shreeji Controls have marked a distinct position in the market by offering superior quality Protective Films Slitter Rewinding Machine that is procured from trustworthy vendors of the market. The offered machine is meticulously tested on various quality parameters and is widely demanded in various industries. Provided machine is manufactured by utilizing optimum quality raw material and the latest technology at our manufacturing unit. In line with international standard we provide the entire range in various customized options and at affordable prices. Shreeji Controls have marked a distinct position in the market by offering superior quality Slitter Rewinder Plant that is procured from trustworthy vendors of the market. The offered machine is meticulously tested on various quality parameters and is widely demanded in various industries. Provided machine is manufactured by utilizing optimum quality raw material and the latest technology at our manufacturing unit. In line with international standard we provide the entire range in various customized options and at affordable prices. Shreeji Controls have marked a distinct position in the market by offering superior quality BOPP Baby Slitter Machine that is procured from trustworthy vendors of the market. The offered machine is meticulously tested on various quality parameters and is widely demanded in various industries. Provided machine is manufactured by utilizing optimum quality raw material and the latest technology at our manufacturing unit. In line with international standard we provide the entire range in various customized options and at affordable prices. 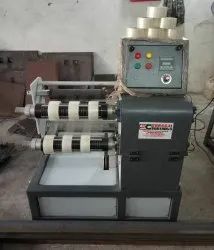 Shreeji Controls have marked a distinct position in the market by offering superior quality Rewinding Machine that is procured from trustworthy vendors of the market. The offered machine is meticulously tested on various quality parameters and is widely demanded in various industries. Provided machine is manufactured by utilizing optimum quality raw material and the latest technology at our manufacturing unit. In line with international standard we provide the entire range in various customized options and at affordable prices. 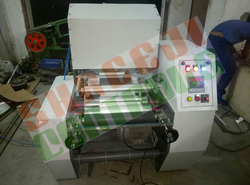 Shreeji Controls have marked a distinct position in the market by offering superior quality High Speed Slitting Rewinding Machine that is procured from trustworthy vendors of the market. The offered machine is meticulously tested on various quality parameters and is widely demanded in various industries. Provided machine is manufactured by utilizing optimum quality raw material and the latest technology at our manufacturing unit. In line with international standard we provide the entire range in various customized options and at affordable prices. 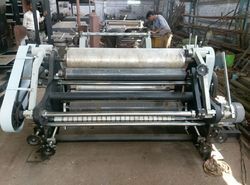 Shreeji Controls have marked a distinct position in the market by offering superior quality Paper Rewinding Machine that is procured from trustworthy vendors of the market. The offered machine is meticulously tested on various quality parameters and is widely demanded in various industries. Provided machine is manufactured by utilizing optimum quality raw material and the latest technology at our manufacturing unit. In line with international standard we provide the entire range in various customized options and at affordable prices. Shreeji Controls have marked a distinct position in the market by offering superior quality Non-Woven Slitter Rewinder Machine that is procured from trustworthy vendors of the market. The offered machine is meticulously tested on various quality parameters and is widely demanded in various industries. The provided machine is manufactured by utilizing optimum quality raw material and the latest technology at our manufacturing unit. In line with the international standard, we provide the entire range of various customized options and at affordable prices. 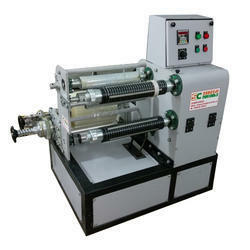 Center Drum Type Slitter Rewinder Machine is designed for various uses. The products covered are Paper, Film, Foil, Laminates, Paper Boards, Adhesive Tapes, Film Ribbons, Wall Paper, Photographic Paper & Film, Coated Paper, Telex & Fax Rolls, Film & Foil Small Rolls for manufacturers of packaging materials and converters. Special machines can also be designed for specific needs. Shreeji Controls Center Drum Type Slitter Rewinder Machine is a Cantilever Type which incorporates a range of superior design feature that ensures the highest possible quality for the final split roll Independent rewind tension control through non-contact ultra-sonic techniques for diameter measurement and unique core lock for the differential slip at running speed. The design incorporates the three motor control system & unwind pneumatic brake with load cell feed brake Digital Edge/line guiding to achieve high-speed correction. High Performance and hi-speed and heavy duty Slitter Rewinder Machine manufacturer with a custom application related requirement. 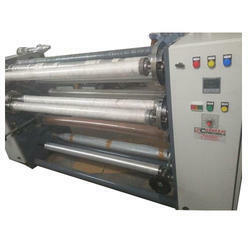 We design to custom application related all type of heavy-duty slitting rewinding machines. We are leading manufacturer of Converting Machinery Like Center Drum Type Slitter Rewinder Machine. Shreeji Controls have marked a distinct position in the market by offering superior quality Jumbo Surface Winder Slitter Machine that is procured from trustworthy vendors of the market. The offered machine is meticulously tested on various quality parameters and is widely demanded in various industries. Provided machine is manufactured by utilizing optimum quality raw material and the latest technology at our manufacturing unit. In line with international standard we provide the entire range in various customized options and at affordable prices. Shreeji Controls have marked a distinct position in the market by offering superior quality BOPP Tape Slitter Machine that is procured from trustworthy vendors of the market. The offered machine is meticulously tested on various quality parameters and is widely demanded in various industries. Provided machine is manufactured by utilizing optimum quality raw material and the latest technology at our manufacturing unit. In line with international standard we provide the entire range in various customized options and at affordable prices. Shreeeji Controls have marked a distinct position in the market by offering superior quality House Foil Rewinding Machine that is procured from trustworthy vendors of the market. The offered machine is meticulously tested on various quality parameters and is widely demanded in various industries. Provided machine is manufactured by utilizing optimum quality raw material and the latest technology at our manufacturing unit. In line with international standard we provide the entire range in various customized options and at affordable prices. Shreeji Controls have marked a distinct position in the market by offering superior quality Drum Type Slitting Rewinding Machine that is procured from trustworthy vendors of the market. Drum type Slitting Rewinding Machine Shreeji Controls Slitter Rewinder is a Cantilever Type which incorporates a range of superior design feature that ensures the highest possible quality for the final split roll Independent rewind tension control through non-contact ultra-sonic techniques for diameter measurement and unique core lock for a differential slip at running speed. The design incorporates the three motor control system & unwind pneumatic brake with load cell feed brake Digital Edge/line guiding to achieve high-speed correction. High Performance and hi-speed and heavy duty Slitter Rewinder Machine manufacturer with the custom application related requirement. We design custom application related all type of heavy-duty slitting rewinding machines. 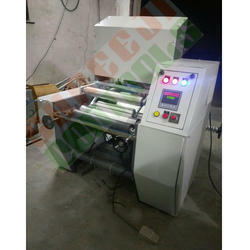 We are leading Manufacturing of Converting Machinery Like Drum Type Slitting Rewinding Machine. 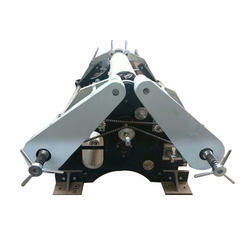 Drum type Slitting Rewinding Machine is a shearing operation that cuts a large roll of material into Small rolls. 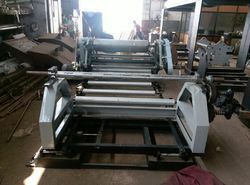 In Rewind slitting Machine, the web is unwound and run through the machine, passing through knives or Cutter, before being rewind on one or more shafts to form the Small roll. 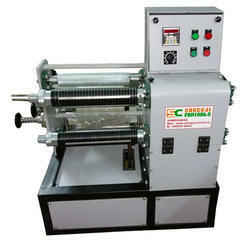 Foil Rewinder Machine Shreeji Controls have marked a distinct position in the market by offering superior quality Foil Rewinder Machine that is procured from trustworthy vendors of the market. The offered machine is meticulously tested on various quality parameters and is widely demanded in various industries. A provided machine is manufactured by utilizing optimum quality raw material and the latest technology at our manufacturing unit. In line with the international standard, we provide the entire range of various customized options and at affordable prices. Shreeji Controls have marked a distinct position in the market by offering superior quality Thermal Paper Slitter Machine that is procured from trustworthy vendors of the market. The offered machine is meticulously tested on various quality parameters and is widely demanded in various industries. Provided machine is manufactured by utilizing optimum quality raw material and the latest technology at our manufacturing unit. In line with international standard we provide the entire range in various customized options and at affordable prices. Shreeji Controls have marked a distinct position in the market by offering superior quality Silver Foil Rewinding Machine that is procured from trustworthy vendors of the market. The offered machine is meticulously tested on various quality parameters and is widely demanded in various industries. Provided machine is manufactured by utilizing optimum quality raw material and the latest technology at our manufacturing unit. In line with international standard we provide the entire range in various customized options and at affordable prices. Shreeji Controls have marked a distinct position in the market by offering superior quality Paper Slitting Machines that is procured from trustworthy vendors of the market. The offered machine is meticulously tested on various quality parameters and is widely demanded in various industries. The provided machine is manufactured by utilizing optimum quality raw material and the latest technology at our manufacturing unit. In line with the international standard, we provide the entire range of various customized options and at affordable prices. Shreeji Controls have marked a distinct position in the market by offering superior quality Slitter Machine that is procured from trustworthy vendors of the market. The offered machine is meticulously tested on various quality parameters and is widely demanded in various industries. The provided machine is manufactured by utilizing optimum quality raw material and the latest technology at our manufacturing unit. In line with the international standard, we provide the entire range of various customized options and at affordable prices. Shreeji Controls have marked a distinct position in the market by offering superior quality BOPP Tape Slitting Rewinding Machine Plant that is procured from trustworthy vendors of the market. Slitter and Re winder are key components in many converting processes. Most converters purchase raw material in large rolls, apply a process to convert it, then slit and rewind it into rolls appropriate for their customers or for their next process. Slitter and Re winder can be either in-line with the converting process or off-line whereby the converted product is stored as rolls and the rewinding occurs independently of the primary process. Additional functions, such as inspection, can be incorporated to make the product ready for the consumer or its next process. The success of this application is judged by the how useful the roll is for the next process. The roll must be wound straight, with clean uniform edges and under proper tension for the next machine or consumer to use. It may look fairly easy, however, winding good, straight, clean rolls is often considered the most difficult application in web handling. Most successful converters are diversifying their business and need equipment that can handle a variety of products with different characteristics. Differences in width, thickness and elasticity can mean wide differences in the torque requirements and suitability of the product. This adds to the demands on the control system of a successful Slitter and Re winder design. 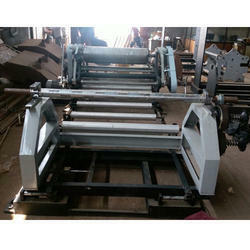 We are offering Woven Slitter Rewinder Machine to our client. Shreeji Controls have marked a distinct position in the market by offering superior quality AluminiumFoil Rewinding Machine that is procured from trustworthy vendors of the market. The offered machine is meticulously tested on various quality parameters and is widely demanded in various industries. The provided machine is manufactured by utilizing optimum quality raw material and the latest technology at our manufacturing unit. In line with the international standard, we provide the entire range of various customized options and at affordable prices.